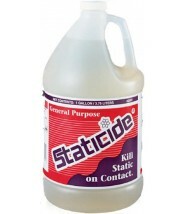 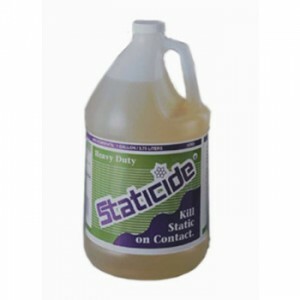 ACL Staticide - 1 Gallon - Liquid Heavy Duty Staticide - Ready to use solution is designed for absorbant/porous, high friction surfaces. Ideal for eliminating static electricity on carpeting, chairs, clothing conveyor belts. ACL 2002 Heavy Duty Staticide is a long lasting antistat solution for high friction surfaces such as chairs, carpets, clothing and work surfaces with heavy use. 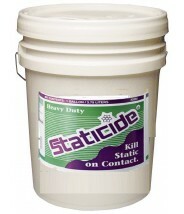 Also use Heavy Duty solution if material is porous or absorbent. 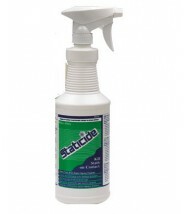 Eliminates static electricity discharge on carpeting & fabrics.